"Dear David" first appeared in a dream, now he's haunting a New York City-based artist's apartment. You might have heard about a story called "Dear David" lately. www.narcity.com/life/this-guys-ghost-story-has-gone-viral-and-the-newest-photos-are-absolutely-terrifying If you haven't, prepare to have some really messed up nightmares. 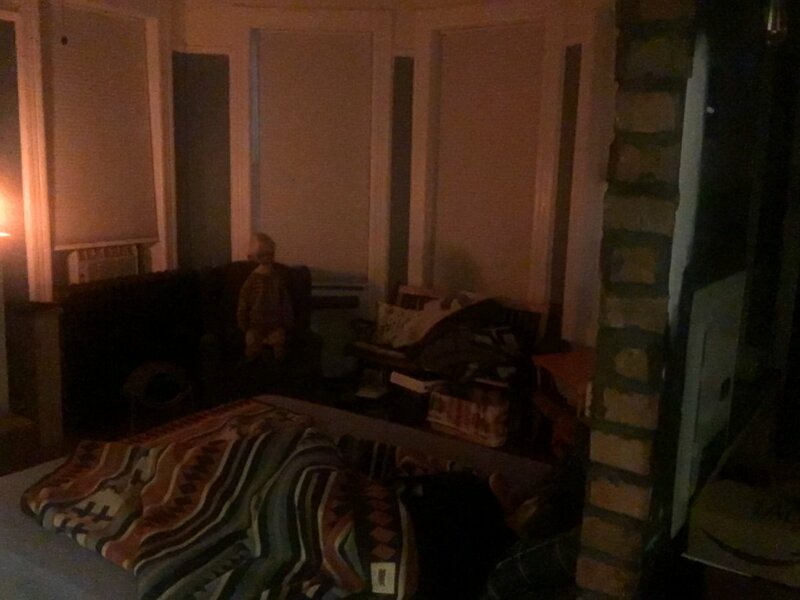 New York City-based artist Adam Ellis has been documenting his paranormal experiences of being haunted by the ghost of a dead child, and the footage he is sharing is leaving Twitter speechless. It all started when a young boy with a disfigured head — who had been "hurt in an accident" — appeared to Ellis in a dream one night. Soon, the dream turned into a nightmare when the boy was seen in the artist's apartment. He began to move objects, appear in photographs and sit in his bedroom chair. Normally, this would make anyone in their right mind want to get on Craigslist ASAP and find a new place to live. But Ellis stayed. Instead of running as far away as possible, he decided to set up a camera on his bookshelf to capture any weird happenings. And boy, did he capture them. Using an app that takes photographs every 60 seconds, most of Ellis' newest photos showed him sleeping in a dark room. After the first 100 pictures though, things started to get really weird. "He was on the bed. Inches from me, staring down at me sleeping," he wrote yesterday in a Twitter post accompanied by an ACTUAL photo of the child at the foot of the bed. But it's the last picture that looks like something straight out of a nightmare. Ellis wrote: "Here's the final photo on the scroll... I'm at a loss for words. That malformed ear, that stringy hair. I didn't even know what to think." Many people are, obviously, skeptical of the findings. And it's not clear whether Dear David is an actual malformed child ghost or just a Gollum doll the New York artist places in his room for Twitter followers. But then how would you explain this rocking chair rocking on its own? Terrifyingly real or just a hoax, it's safe to say this story is one of the scariest things we've seen on Twitter so far. If it is real, most of us would have made a beeline out of there after the first disturbance, so this guy deserves some serious props for sticking around and documenting the whole thing. Here's a word of advice for you, Adam: You should probably get the hell out of there. Just a thought.